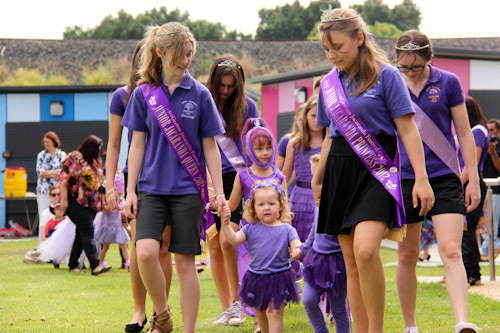 Each year, Grafton offers several weeks of activities and promotions as part of the ever-expanding Jacaranda Festival. 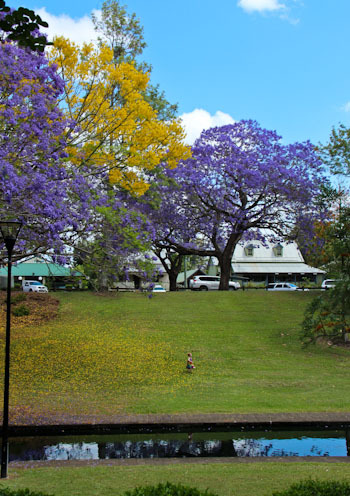 Many of the town’s streets are lined with the sub-tropical tree which drops its leaves in winter and blooms with startling purple fluorescence each spring. Our arrival is marked with a purple carpet! After leaving Coffs Harbour, we parked overnight in Grafton and woke to join the kids’ party in Market Square. The organised activity seemed hardly more than a beauty pageant, but we watched the processions and tried to understand the way things were being run. 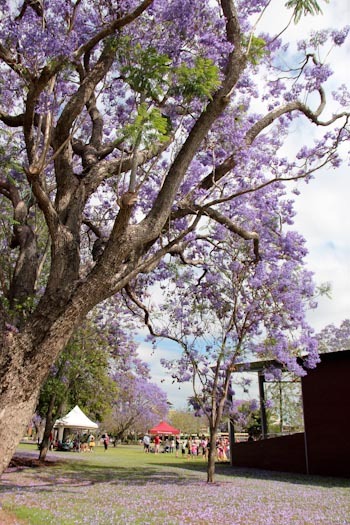 People have gathered in one corner of the park to mark the start of the Jacaranda Festival. Light refreshments are offered: fairy bread and watered-down cordial. 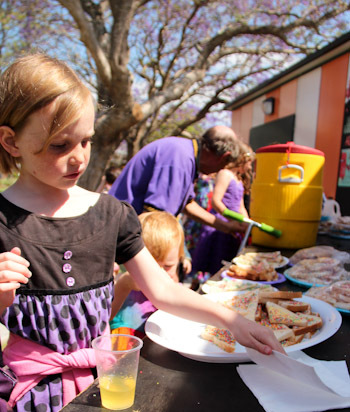 "Fairy bread" is a staple Australian party-food. It consists of multicoloured sprinkles on white bread that is spread with butter or margarine. 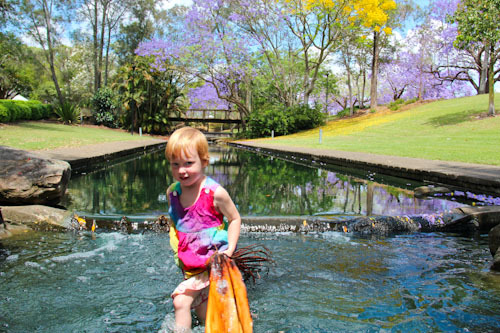 After the party packed up, we drove down Pound Street to See Arbour Park which is beautiful this time of year with its huge jacarandas, green lawns, shallow waterways and little bridges. We've spent a lot of time in and around Grafton in years past (when David's parents lived here), and it's wonderful to have a reason to drive along the familiar streets and appreciate the beauty of the town. 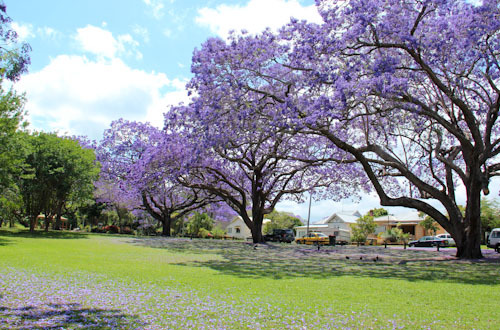 It's spring, and so other trees are also blossoming, complementing the purple with their yellow and white flowers. Wanting a "horsie" to ride, Lana retrieves a fallen palm branch from the middle of the shallow stream. Before heading away from the area, we stopped to visit the site of David’s parents’ house. The house burned down three years ago and a new home is now standing on the site. I noted the changes to the gardens as well as the addition of a slide (what fun!) to the pool. After looking at the new developments, I wonder about the significance of the house burning down, especially in light of it being the location of David’s and my wedding in August 1997. I came from a culture which espoused one-husband/one-wife for life, and if, instead, I had been surrounded by a culture that allowed and encouraged unhealthy relationships to end, would my life be different now? I cannot change the past, but I can affect the future by first modelling a healthy transition through future relationships and also allowing my children to do the same. I can offer others the freedom to quit. I no longer believe that the duration of a relationship is a measure of its success. Instead, I believe that if we approach each relationship as an opportunity for personal growth into greater godliness and consciously reflect upon it as that — at the glorious beginning, when it gets hard, and even as the intimacy disintegrates — we will never be unsuccessful in a relationship. 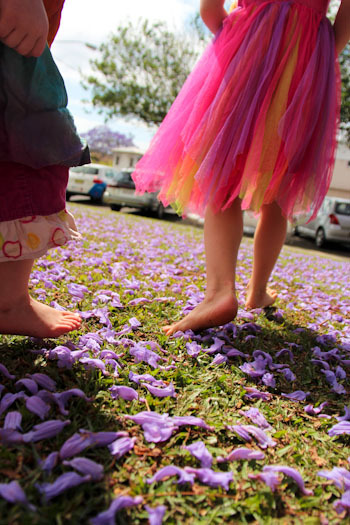 Jacarandas are my very favorite spring tree! We left the San Francisco Bay Area, where they are prolific, a couple of months ago, and I will miss them next spring! Lauren, first of all I want to say that you are an amazing and strong woman and I love your honest and inspiring words. I am married to someone who has mental health and addiction issues. Everyone around me, including my husband’s family, seems to think threats, rejection, and forcing guilt and shame on him is required. They think unconditional love is weak. I completely understand that everyone needs the freedom to quit. But how to decide whether I am in an unhealthy relationship and need to quit, or if I am married and have children with someone who needs my unconditional love and support, is a question I am always contemplating.